Happisburgh is a small village on the east coast of Norfolk, with a long stretch of open, unspoiled beach, where there’s no restricted access for dogs. The village is known for its quirky red-and-white lighthouse, which has the distinction of being the only independently operated lighthouse in the UK. And best of all, Happisburgh is the home of Barn Owl, Fieldfare, Goldfinch, Kestrel, and Wren, a quintet of comfortable one-storey holiday cottages. After a severe winter storm in 1789, in which 70 sailing ships were wrecked off the Norfolk coast, killing 600 men, two lighthouses were built in Happisburgh; they came into operation on 1st January 1791. When, in 1883, one of these lighthouses was withdrawn from service and demolished, the single remaining tower was not so easily distinguishable from the tower at Winterton, approximately 12 miles away. So, the three broad bands of red were painted. Just a mile away from Boundary Stables, and visible from the courtyards of Fieldfare and Kestrel, is East Ruston Old Vicarage Gardens, a magnificent 32-acre garden that has been lovingly developed, over many years, by the owners, Graham Robeson and Alan Gray. The garden’s microclimate is so successful, and the variety of flora so diverse, that it was among the first six gardens to be approached by the Royal Horticultural Society (RHS) with an invitation to be a Partnership Garden. East Ruston Old Vicarage is the only private garden to be asked by the RHS to carry out plant trials. With easy access and disabled toilet facilities, a teashop offering home-cooked lunches and delicious home-made cakes, and a garden shop where you can buy plants, East Ruston Old Vicarage Gardens is a lovely place to visit. Graham and Alan are very welcoming and eager to share their extensive knowledge with visitors. For RHS members, entrance to the garden is free. At Cart Gap (at the southern end of Happisburgh beach), there’s the popular, dog-friendly Smallsticks Café. There’s also the dog-friendly Hill House Inn, visited by Sir Arthur Conan Doyle in 1905, where he conceived the idea for his Sherlock Holmes story, The Adventure of the Dancing Men. This year, the Hill House Inn’s popular Summer Solstice Beer Festival will take place from Thursday 21st to Monday 25th June. This is an enjoyable family event (there is no entrance fee for children and dogs), which grows in notoriety year on year. Visitors to Boundary Stables will usually get out and about, exploring Norfolk and all it has to offer. 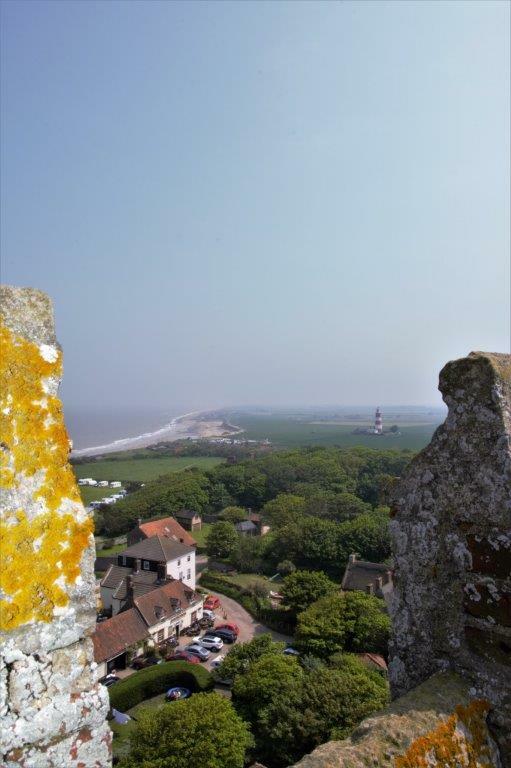 But our guests also enjoy Happisburgh itself, which really is the perfect place for a peaceful break.